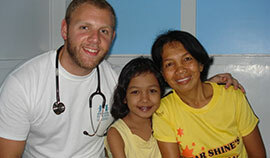 Our charity's origins are based in Bicol region of the Philippine islands. 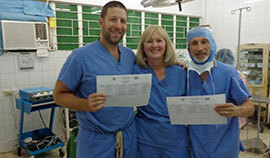 It was there that Dr. Schuster was inspired to take his career as a doctor to a new and challenging level. 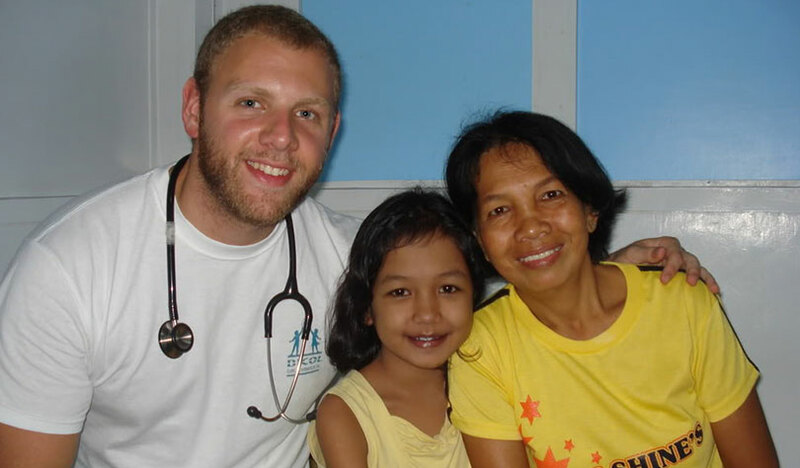 He became a doctor of this world, inspired to bring medical care to those who need it most. Each experience in the Philippines is unique and rewarding. The extent of poverty and misery is often over-shadowed by the paradise-like surroundings and friendly, smiling people. You realize the desperation when you go into the public hospitals and clinics where patients lay sometimes two or three to a single bed, waiting for their families to buy and bring back vital supplies for their care. Nothing is provided to them unless purchased in advance. Many people have died just waiting for help. Our free clinic now provides services necessary to ensure the people health and well-being. 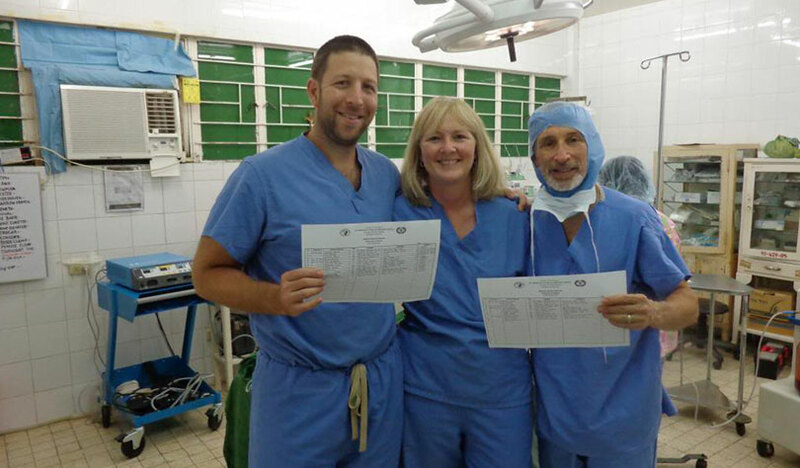 BCF provides excellent medical care to all of our patients, while at the same time offering a hands-on experience and training often unattainable in the U.S. for our volunteers. With the help of your generous contributions, we are able to fund teams of medical students, doctors and nurses to participate in clinic rotations in the Philippines each summer. 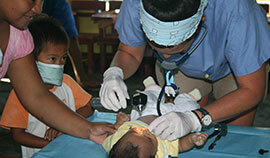 We have recently completed the construction of a permanent outpatient clinic in the Philippines. Our goal is to furnish the clinic with medical equipment and to have it staffed year-round. This clinic will also provide job opportunities for local medical personnel, including medical and nursing students, and promote local business growth through a constant patient presence in this remote area. In addition, BCF is working with various medical schools along with the Boca Raton Regional Hospital staff in a joint venture involving the design of a TB eradication program, which will utilize modern technology, the World Health Organization guidelines and local community support. It is really amazing watching where life can take you. For me, life took me out of my comfort zone, my posh lifestyle, and placed me on the other side of the globe. What consequently happened afterwards was an experience that will never be rivaled. It is a crazy world, one minute I am in Ft. Lauderdale and then 18 hours and 4 flight transfers later I am staring at my new temporary home in Bulan. It even seemed like sitting in the middle seat actually made time go faster, lucky me. But, the plane ride was a very small price to pay for the experience that I had. Once we arrived in Bulan we immediately were introduced to what seemed like our new family, at least that was my sentiments were after the trip. Then I explored the town. It was a busy little place, but the poverty can be seen immediately. Shanty houses were a common site, which made me feel guilty because I was practically living in a palace compared to these poor people. Houses were made by hand, with whatever "building materials" that person could find at the time. Homes were constantly being built and rebuilt, because typhoons would just wipe them away. Large aluminum plates were used a roofs, while thin sheets of wood were walls. One pleasant thought was the cheery disposition that most of these people shared. They were more then happy to talk to me in languages I did not understand. They were constantly smiling, which is an international language that I was happy to respond with. Word spread fast that the clinic was going to be open, and before we could even unpack the medical supplies, there was a long patient list. The patients varied from common colds to the very sick. The sad thing was something like a cold could escalate into something much more serious. Many of the people we saw could not afford basic medical supplies like cough syrup or Band-Aids. I cannot imagine living in a world where Band-Aids are a luxury. One patient had an enormous effect on me. 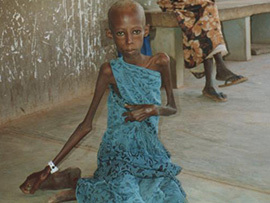 He was a young boy that received very severe burns on his legs. From just below his knee, to his feet was a giant exposed burn injury. He was carried in by his father because he could not walk on his own. He was writhing in pain as we washed out his wounds in sterile water. We prescribed him pain medication and saw him everyday. He would be carried in during the afternoon and we would change his bandages and put antibiotic cream on his legs. After weeks of therapy and we were closing up the clinic, he came in for his final visit with us. We changed his dressing as usual, and then he stood up and walked out under his own power, actually walked. Normally not an amazing feat (no pun intended), but for him, and us it was. The difference this clinic made in this young man's life still sits with me. He was only one of many people we made an impact on. People came from all around as the lines to get into the clinic grew and grew. Each person was very poor, and it is down right depressing to think that they would not get any medical treatment if it were not for us, and even more so because they will not get any more care for another year. I witnessed surgery live, infected sores and a variety of different open wounds, but the hardest thing to look at was the faces of the friends and patients as we saw them for the last time. For the first time in my life I felt a feeling of self worth for the things I got to do this summer. There was a life I lived before this trip, and the life I lead now. We did our best to give as much as we could, but it seems like we got back a lot more. It is amazing that I feel such a powerful bond with a place 12 time zones away, but that is the effect this wonderful country, and it's people has on me. I stepped out through the threshold of the AirPhilippine Jet, onto the dirt runway of Legazpi Airport for the second time in as many years. My mind was racing even though I'd been here before; I still did not know what to expect from this constantly changing country. The changes to the clinic could be seen immediately, from the new Melvin Roth Dormitory to the over 15 medical students that came with us that year. Even the dynamic of the clinic changed as we ventured out into the public to assist in the community instead of waiting for patients to come to us. As this clinic starts getting more embedded into the local population, we can stop just putting a proverbial bandage on the societal problems these people struggle with, and start giving them some serious help. A new attitude was formed that year: to help people who need it now, and to work to prevent these problems from happening in the future. It will not be easy, but we have taken steps in the right direction. If we build on what we have started, we should be able to prevent many of the problems these people face. Better, more efficient ways of giving out medicine coupled with teaching better living practices can be the start of taking more proactive measures in helping these people. It isn't all business though. My experiences have taught me about becoming a better person, being truly happy, and learning the meaning of friendship. Copyright © 2019 Bicol Clinic Foundation Inc. All rights reserved.